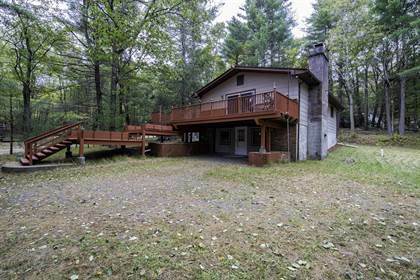 NO DUES, LOW TAXES, Wallenpaupack School District, Easy 15 minute drive to access I-84 or enter into NY from Lackawaxen. Well maintained raised ranch features 4BA, 2BA, Fireplace, newer windows, newer carpet, large deck, storage shed, large flat yard, walk to state game land access up the road, over 1000 acres of state game lands. Perfect for starter home, first time home buyer or anyone looking to have access to state game lands at an affordable price. Hi, I'd like to find out more information about 171 Neil Thompson Rd. Thanks so much!